Book of Mormon Central / Archive / Study of "Laman"
23 3⁄4 x 18 1⁄2 in. Described as “hard of heart” and “stubborn,” Laman is not often remembered for his faithfulness. For all his bouts of violence and resistance, Laman was, in each case, eventually a compliant son. As stated by Lehi, “there shall none come into this land save they shall be brought by the hand of the Lord” (2 Nephi 1:6). It was only after arrival in the promised land and the death of his father, Lehi, that Laman split paths with his brother Nephi, setting off generations of conflict. Laman became one of the founding patriarchs of the Book of Mormon people. 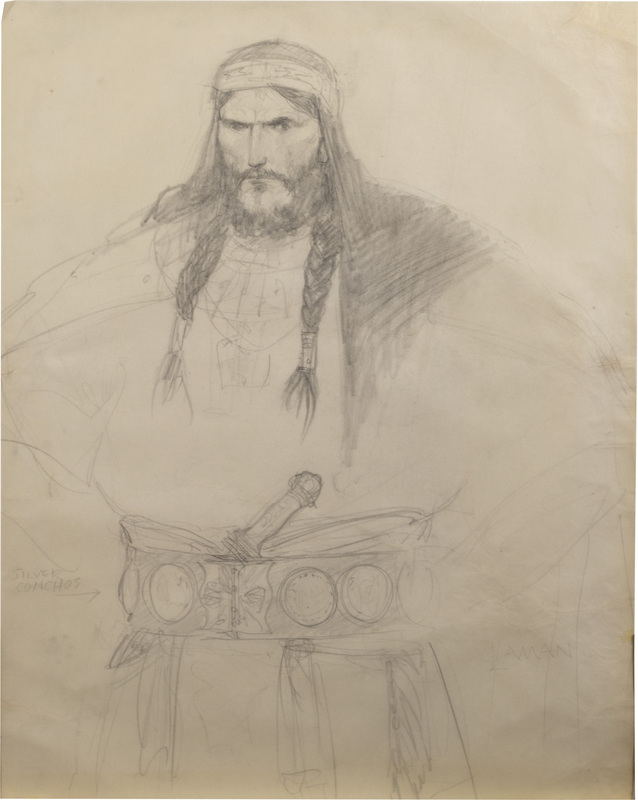 Friberg fittingly portrays Laman as strong and haughty.